The TORIC UHD 3-15x50 utilizes TRACT’s Ultra High Definition optical system with industry leading SCHOTT HT (high transmission) glass, ED (Extra Low Dispersion) lens and a Fully Multi-Coated lens system that provides incredibly sharp, bright images with superior light transmission values. “The TORIC had one of the highest combined low-light and resolution scores in our test” Outdoor Life, Optics Gear Test - June/July 2016. TORIC scopes are built in Japan with precision components to the highest tolerances by one of the leading optical manufacturers in the world. 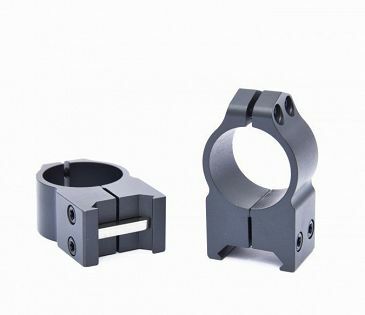 For your convenience, we’ve selected the ring that best fits the riflescope you’ve selected. *If your rifle is not on the list, email support@tractoptics.com. To get the most out of your riflescope, we suggest adding a custom turret. Simply select one option* below then fill out the Impact Ballistics form. Can be used with the TORIC riflescopes along with the Zero Stop/Lock kit included with every TORIC riflescope. 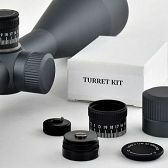 Can only be used with TEKOA and TURION riflescopes if you have already purchased a High Profile MOA Marked Zero Stop/Lock Kit or have already purchased a High Profile Custom Engraved Turret kit above. *This option is only available for use with the TORIC, TEKOA and TURION riflescopes. *Only available for use with the 22 FIRE riflescope. *Only available for use with the RESPONSE riflescope. BEFORE you checkout, you’ll be prompted to complete the Impact Ballistics form by inputting the appropriate scope, ammo, sight settings and shooting conditions, plus your preferred turret profile and the custom label inscription. TRACT's Fully Multi-Coated, Ultra High Definition optical system, utilizes an extra low dispersion (ED) lens to eliminate color fringing as well as highly prized Schott HT (High Transmission) glass to provide superior light transmission and bright, clear images even in low light hunting conditions. The one-inch, one-piece tube is O-ring sealed and purged with Argon gas, making it completely waterproof and fogproof. 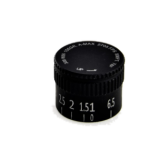 The super-smooth magnification ring, with rear facing numbers easily allows you to zoom from low to high power. The Glass Etched T-Plex reticle takes the standard Plex type reticle to another level by eliminating the thick top vertical post, creating a cleaner field of view while still allowing your eye to quickly find the center crosshair for fast target acquisition. Locking Side Focus adjustment dials out parallax from 15 yards to Infinity increasing accuracy. Pull-out to turn & push-in to lock. Hand Turn windage and elevation adjustments with precise, repeatable and audible 1/4" clicks at 100 yards are easily reset to zero without any tools, making sighting in or field adjustments quick and easy. Includes High Profile MOA turret kit with Zero Stop and Locking function. Customize your riflescope with a selection of accuracy enhancing accessories such as the Low Profile Impact Custom Turret or High Profile Impact Custom Turret. Easily reset the windage or elevation turret to zero without the use of any tools. 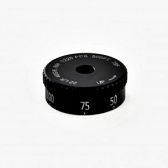 Simply loosen the threaded top cap, lift the turret up and line up the zero with the vertical indicator mark on the turret housing. Thread the top cap on and your are all set! Fully waterproof and Fogproof using O-Ring seals and purged with Argon gas which has a higher resistance to temperature changes versus the Nitrogen used in many other competitor's products. The TRACT Trust Assurance guarantees the functionality of the product for the duration of its lifetime regardless of whether you’re the original owner. No time limit applies and no paperwork is needed. The TORIC is the riflescope for the long-range hunter and shooter. It features TRACT’s Ultra High Definition (UHD) optical system as well as Schott HT (high transmission) glass to provide sharp, bright images with superior light transmission values that allow you to use the scope in any situation. This 5x zoom 3-15x50 TORIC UHD is engineered for the long range hunter and shooter who needs that extra light gathering ability at higher power. It features TRACT’s advanced Ultra High Definition optical system comprising of Fully Multi-Coated SCHOTT HT (high transmission) glass, ED (Extra Low Dispersion) lens providing sharp, bright images with superior light transmission of any scope in this class. Take advantage of the quick focus eyepiece, 4 inches of constant eye relief and the Glass Etched T-Plex reticle providing unsurpassed performance in low-light conditions at longer distances. Includes High Profile MOA turret kit with Zero Stop and Locking function. Customize your TORIC riflescope with a selection of accuracy enhancing accessories such as the Low Profile Impact Custom Turret or High Profile Impact Custom Turret. The Glass Etched T-Plex reticle takes the typical plex-type reticle design to a new level. 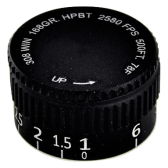 By eliminating the thick top vertical post, this opens up the reticle to provide a cleaner, less obstructed view of the target. The thickness in the horizontal and bottom vertical posts still allows for fast target acquisition. The point of the bottom thick post is strategically placed to provide bullet drop compensation for various distances based on the cartridge you are shooting. Simply use the IMPACT Ballistic Program to determine your maximum point blank range, bottom post distance and other crucial aspects that will make you a more accurate shooter. Purchased for my wife’s new rifle (Tikka Superlite 270 cal), both were a suprise and she had no ideal of either, there was some confusion on the shipping date that had me concerned, the personal level of service and follow up by Jon was amazing, problem solved and scope delivered on time,First Class! service! On to the scope, just like the service and the Hype in the reviews I read the Scope is indeed everything promised, sighted in 1.2” high at 115 yards, grouped 4 shots in 1/2” repeatedly. First morning out, 7:15 am, sunrise at 7:33 am, 175 yards out wife spots what she says is a 10 point White Tail just inside the tree line, Im Gassing for her with a nice Leica 8x42 HD and no way can I count the points can just make out its a Buck, she insist she can see it just fine and is going to take the shot! The rest is history, she dropped the 10 point, beautiful Deer, later that evening she was able to obsereve Hogs at the feeder well past sunset when I could barly make out their silhouettes. Great Scope, Great service, Awesome Price-Highly recommend! I’m a hunter who wanted something that would take the rigors of hunting season after season. I’ve heard a few stories where someone takes a tumble and their rifle goes down with them. I have Leopold scopes on most of my rifles but, after reading the review in Outdoor Life, I was intrigued by the Toric. I started shopping around my local stores, but I couldn’t find anything I loved. So, I started to take a closer look at Tract and I decided to take a chance. I was honestly nervous about buying a scope that I’ve never seen with my own eyes. That said, Jon couldn’t have done a better job at answering my questions and putting my fears to rest. My first impressions taking it out of the box made me smile. The Toric is well built, with tight tolerances and clean aesthetics. I took a light and shined it down the objective lens; I couldn’t see any dust or debris in the scope tube. At first the parallax knob was really tight and hard to unlock. I watched the video online to see if I was doing something wrong…nope, just tight. Once I pulled out the knob a little harder, it broke the seal. Now it pushes in and pulls out like a dream. The parallax also turns with the right amount of tension to focus. The magnification ring was a little tight at first too, but is really smooth throughout the 3-15x range. The elevation and windage adjustment knobs are also tight with an audible, but not loud click. It’s just a well built hunting scope. But the best part of the scope is the glass. It’s bright and clear all the way to the edge. In my opinion at the range it’s comparable to more expensive scopes I looked at in the store, with the benefit of the in-store light. It’s been great in low light too. My friend bought a popular name brand scope that cost $400 more, and I wouldn’t take it for the same price I paid for my Toric. Overall I’m thoroughly impressed by the quality, the glass and the customer service. Oh, maybe that’s the best part, the customer service. The responsiveness of JL and Tract Crew is amazing. They really go above and beyond great customer service. If you’re looking at getting a great hunting scope for a great price, I have no reservations in recommending this scope to my friends, family and to you. I feel like I got exactly what I was looking for with the Tract Toric. Tract scopes prove that the routinely quoted cliché supporting the need to spend 2+ times the cost of your rifle, especially if you want to hunt with a quality riflescope, as pure unadulterated fiction. My most interesting Tract purchase is the Toric 3-15x50 T-Plex scope. During a typical three-round target contest before a hunt, the scope proved Tract’s claim that they produce and sell high-end scopes at prices well below their competition. With that scope’s unencumbered aim-point presentation, I placed two of the three rounds of Federal .224 60-grain Valkyrie, near the center of an 8-inch gong at 400 yards on March 31, 2018. In essence, that event solidified Tract’s claim that their scopes offer clear and accurate aim-point target presentations equal to or better than most of the high priced scopes of similar design. To this very surprised old hunter (no pun, just old age) the experience felt like “love at first sight” (pun intended); immediately followed by a huge sigh of relief, and a happy dance from my wallet. Why Tract? Simple! You get a quality product, housing high-end glass that presents a bright clear and accurate target picture, and you get it at a price that is close to half of the price you would pay for a big name scope. Recommendation: Forget the “spend more cliché,” buy a Tract scope, hit the target and save money. Very unusual to see an $800 scope with a 1" tube.?? Interested in your toric rifle scopes. I have a custom 7mm STW that currently has a NF ATAC scope. I like the scope but as a hunting rifle, I would like to decrease the weight of the optic. I think your 1" Toric may be the perfect scope for a hunting rifle. I question deals with the process of getting a custom elevation turret, and would this custom turret have a zero stop. Thanks. Who and where is the glass made for your scopes? We use SCHOTT High Transmission glass. The TORIC scopes are manufactured in Japan. Since SCHOTT has facilities all over the the world including Japan, the glass comes from the source closest to our Japan factory. The TEKOA 4-16X44 would be an excellent choice for the CZ in the precision rimfire application. Unfortunately we do not have any plans to offer this scope in MRAD. 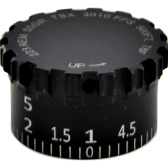 While the TEKOA scopes feature capped turrets, they can be used with the caps removed in an "open turret" manner as they are waterproof with the caps removed. The only scope we have with MRAD reticle and adjustments would be the TORIC 30mm. Hey Jon, You think yout Torick 2x15x 50 is a little overkill for the 450 bushmaster bolt action for whitetails? My longest shot will be around 300 yds. Magnification is more of a personal choice. Some people might feel a top end of 15x might be too much for 300 yard shots, but if you are taking shots in extremely low light, the 50mm objective will gather a great deal of light. The great thing about having a higher power scope is that the magnification is there when you need it. You can always dial the magnification down if necessary. If you are thinking the 3-15x50 might be too much magnification, you may want to check out the TORIC 2-10x42.